Limited time offer for Home Cleaning in Philadelphia -- 30% off your first booking! My name is Lee. I've been in cleaning off and on over the years, industrial, commercial, and residential. I take pride in the work I do and try to be as thorough as possible. I'm low maintenance, polite, and professional. I do bring my own supplies to every job. If you have any special request please ask! Founded in 2012, Handy is passionate about putting people like you in touch with house cleaning professionals. We believe that everyone has the right to affordable, flexible home cleaning, so at Handy, we connect our customers with reliable, local cleaning service providers to clean the homes and apartments of Philadelphia. Whether you’re looking for home cleaning services to give your kitchen a deep clean or get your bathroom sparkling again, you can make it happen with a professional booked through the Handy platform. With Handy housekeeping services and house cleaning services, you can look forward to a clean and tidy home, without breaking the bank. Mia did a great job at my house. All cat hair was cleaned up and all surfaces and floors looked great. She was on time and was very nice as well! Maria, worked eith deligence and attention to detail. She was also punctual and prepared. I would highly recommend her. Tarrell made our messy house look beautiful again! He not only did a great job, but also brings a wonderful personality while he works. Tonya was great! She did a thorough job and was very friendly. I will be reccomending her to friends. Candace did a very good job of cleaning my condo. She was very thorough, very friendly and very efficient. I highly recommend her! Shanequa was awesome! She was punctual and left my house sparkling. She was kind to my doggies too which means a lot! Pro. was 2 hrs late (1 hr late last time).She did call me and tell me she would be late. Otherwise, did great cleaning. Naima went above and beyond to clean our apartment. She did an absolutely wonderful job and we would book her again or recommend her to anyone! Why use Handy for arranging house cleaning in Philadelphia? We know it can be hard to find time to keep up with your home cleaning chores, particularly when you have a family. That’s why millions of people find the best apartment cleaning and maid service providers via the Handy platform. Thanks to our extensive network of top-rated cleaners to provide your housekeeping and home cleaning services, we can connect you to the best people for the job, right when you need them most. We believe everyone deserves a clean home that they can enjoy living in. Nothing is worse than a stack of dirty dishes or a kitchen floor dotted with muddy footprints. No one wants to spend their precious free time doing chores when they'd rather sit down with a book, watch a movie, go for dinner, or get an extra hour's sleep. Leave the dirty floor and the dishes to your professional house cleaner, while you catch up on the fun things in life. Philadelphia house cleaning services booked through Handy are cheap and cost much less than many competing cleaning companies out there. Use our website or the Handy app to find the perfect home cleaner for your home. 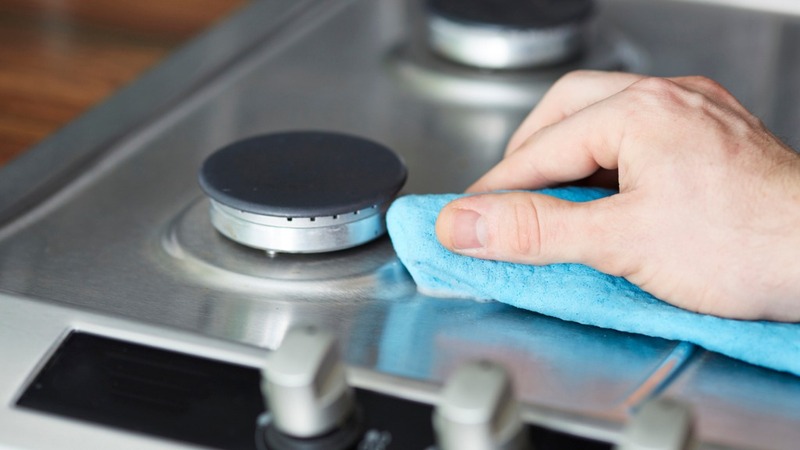 Your cheap house cleaning services can also include thorough cleaning for ovens, freezers, and other items, which you can book for a small supplement. Who can book house cleaning in Philly through Handy? The home cleaning services we arrange are for anyone who wants a comfortable, clean home to live in or to rent out to others. No matter where in Philadelphia or the surrounding area you live, Handy aims to connect you with the best cleaning services in the city. Maybe you’re a tenant in need of a move out cleaning service before you get your deposit back, or a homeowner looking for a weekly cleaner to help out around the house. Whatever your circumstances, a Philadelphia home cleaning pro booked through Handy will make your home clean as can be. House cleaning services are also ideal if you live in a shared house and just don’t have time to clean up after your roommates. Tragedy of the commons -- know what we mean? With the average commuting time for Philadelphia residents rising higher than ever to 32 minutes in recent years, getting quality free time can be tricky in this city. It’s no wonder so many families use cleaning companies in Philadelphia so they can make the most of their time off work. Even if you don’t mind the occasional spring cleaning, having to mop and vacuum clean the whole house can be a real drag at any time. That’s where your very own Philadelphia house cleaning services can be so convenient. When you're a busy mom raising a family, we know every minute counts. When you book your house cleaning in Philadelphia through Handy, you get to spend more of your time doing what you love instead of doing chores. Leave all that tedious, boring stuff to your Philadelphia home cleaners instead. Instead of spending your Saturday afternoon sweeping and mopping, have a nice long walk on the Schuylkill Banks Boardwalk all the way from Locust to South Street and enjoy those stunning views of the Philadelphia skyline. Or go spend more time exploring Philadelphia Zoo or walking around the Independence National Historic Park. Looking for professional apartment cleaning in Philadelphia or another home cleaning service in Philadelphia? Whether you need someone to come take care of your entire house, or a home cleaner to help clean your bathroom and kitchen, we can handle it. Here at Handy, we'll help you make time for all the things you love in life. Whatever you require, we aim to connect our customers to the best cleaning service in Philadelphia. When you need professional cleaning services in Philadelphia, choose Handy today!